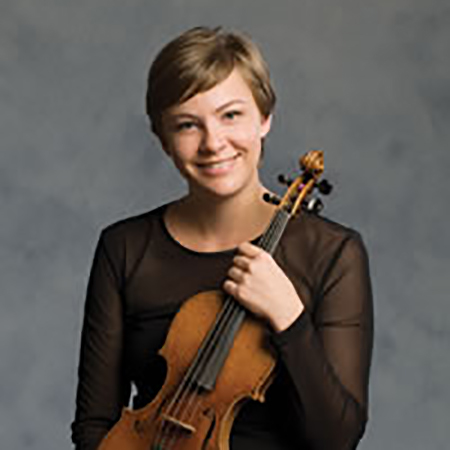 Violinist Ashley Plaut* maintains an active schedule as both orchestral player and chamber musician. Formerly a member of the New World Symphony in Miami Beach, Florida, Ashley joined the Vancouver Symphony Orchestra’s second violin section in 2009. Ms. Plaut has enjoyed appearances with the Breckenridge Music Festival, Pacific Music Festival, Spoleto Festival USA, and the Chicago Symphony Orchestra’s MusicNOW series. She was also a member of the Civic Orchestra of Chicago and served as their Co-Principal second violin from 2006–2007. Originally from Calgary, Alberta, Ashley completed her studies at the Chicago College of Performing Arts and McGill University. Her teachers include Shmuel Ashkenasi, Yehonatan Berick and Denise Lupien.